This bright and compact standard lens has a precise manual focusing mechanism and large rotation angle for precise control. The Planar T* 1,4/50 is designed for medium and longer distances and provides high-performance wide open, which only improves as the lens is stopped down. The lens construction controls flare and ghosting artifacts, resulting in a brilliant image with excellent contrast and natural color rendition. 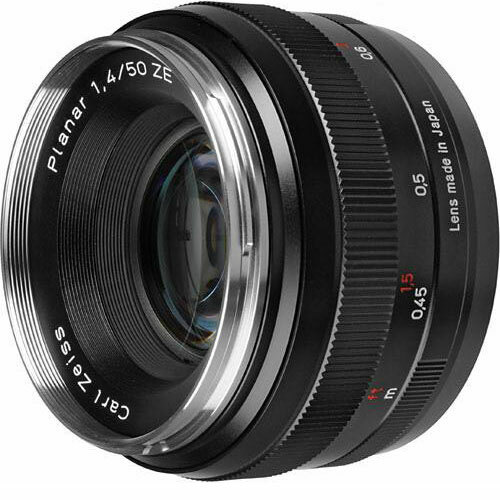 The Planar T* 1,4/50 is designed for use with full-frame SLR and DSLR cameras. Combined with a DSLR with a 1.6 crop factor, the lens becomes a compact, lightweight 80mm portrait lens. Carl Zeiss Planar T* 1.4/50 – 50mm f1.4 lens is available for rent or hire from RENTaCAM Sydney.